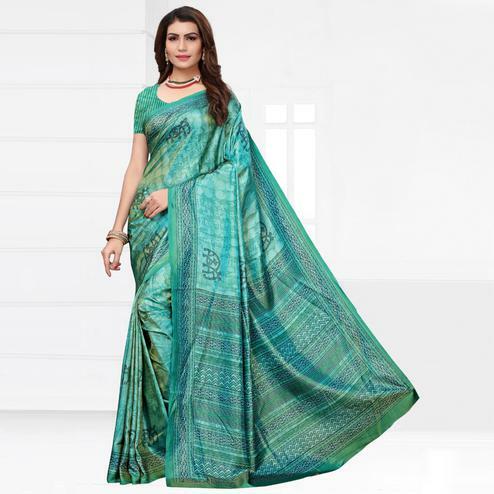 This graceful grey color saree on pashmina fabric is just made for you. 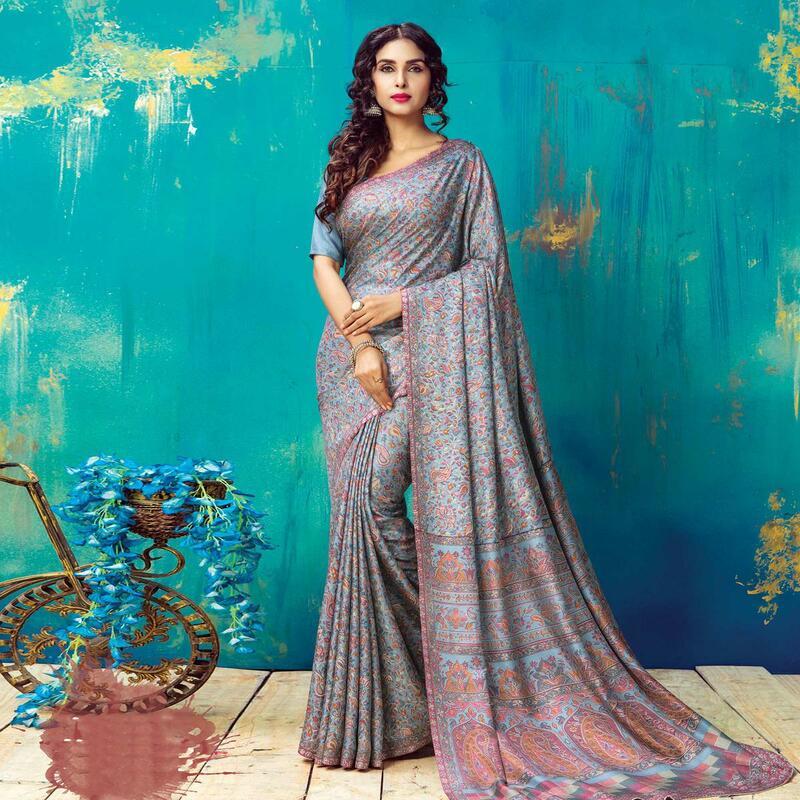 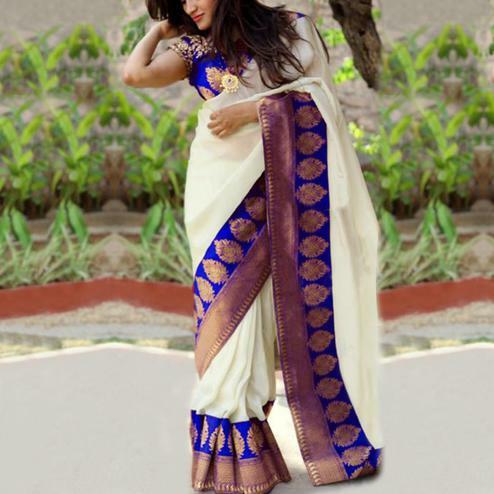 This saree features abstract design body, floral prints, paisley motifs on entire saree. Available with matching fabric unstitched blouse piece. This saree not only looks beautiful but it's also easy to maintain and care.